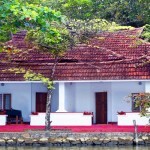 St. George’s church is located about 23 km southeast of Alappuzha town on the bank of the river Pampa Kerala India. 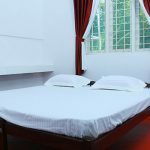 The church was previously known as St Mary’s Church which was renamed as St. George Church which is popularly known as St. George Forane Church. The church was founded on 29 September 1810. St Thomas the apostle of Lord Jesus came to India in AD 52 and preached Christian communities at different places in Kerala. St. George’s church is famous for the feast of St Thomas which is celebrated in the month of April-May. Devotees from all over the Kerala get here in this feast celebration. The Edathua feast is held from April 27 to May 7 every year. 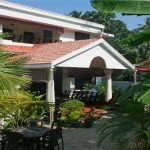 By Air– Cochin International Airport is located about 85 km from Alappuzha. 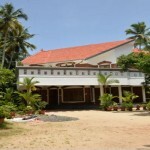 By Train– Thiruvalla Railway Station is located about 12 km from the town. 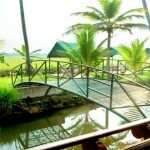 By Road– Alappuzha is famous tourist destination of Kerala . There are various bus services from different cities of Kerala to this city. KSRTC and private operators have various bus services to this city.